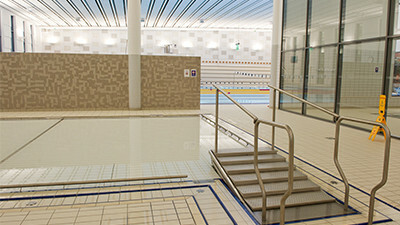 Most pools in Sweden are being equipped with at least part of the pool venue having a floor. A movable floor or lifting platform is a valuable investment for any pool. Contact our specialists to learn more. 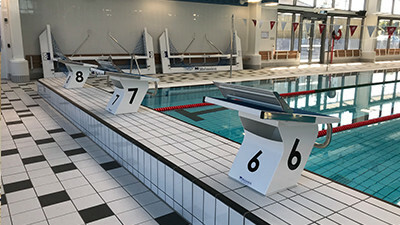 Pool equipment designed and manufactured by Malmsten. Installed in prestigious Australian venues. Let us know your next project. Swim Open Stockholm 2019 will be a great event! In 2018 more than 1050 swimmers from over 28 countries competed in the pool in Eriksdalsbadet in Stockholm. 2019 years edition that will be held April 12-15. Welcome! Water Polo is a fast-growing aquatic team sport which has gained a foothold in Sweden. Effective March 1st, 2019, there is an amendment to the existing FINA water polo rules. We offer easy to use upgrade kits for existing field lines and color coding on referee´s catwalk. As for LEN, a final decision will be taken by LEN technical WP committee meeting in January and the LEN Cup will in that case only apply these rules from next season starting August 2019. A Swedish-made world-class line - A Line selected for International Events. Malmsten is the official supplier of racing lines for the great events by both FINA and LEN. We constantly develop and run tests of our lines in order to maintain its world-leading position. 2019! What an exciting time ahead of us - Malmsten take off! Tokyo 2020; preparations have started! Malmsten Movable Floor makes it possible to use a swimming pool for a great variety of activities and it can be installed in both new and existing pools. Our movable floor is continuously adjustable to obtain any desired position. Swedish Goggles have long been the preferred choice for the majority of the world's elite swimmers. They are also approved by FINA for use in international championships.